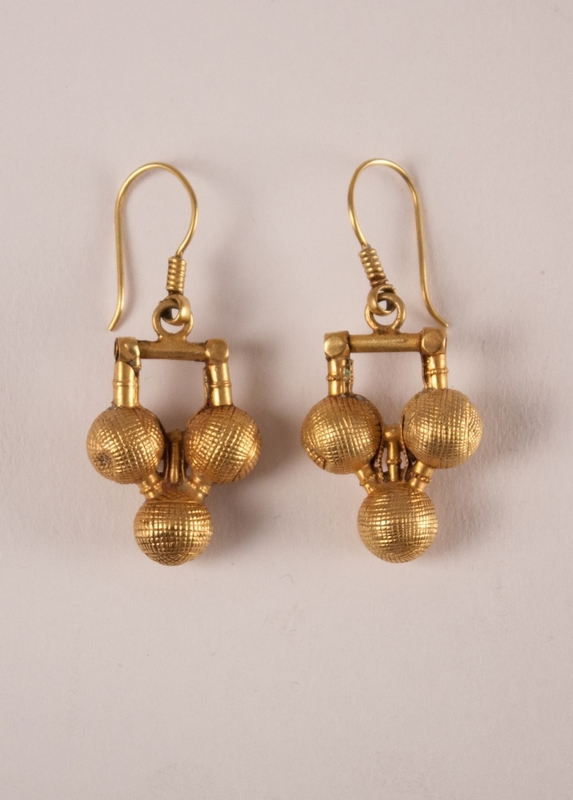 Rare pair of traditional, hand tooled 22 karat gold over wax core "three ball" dangle earrings from Rajasthan, India, circa 1940. 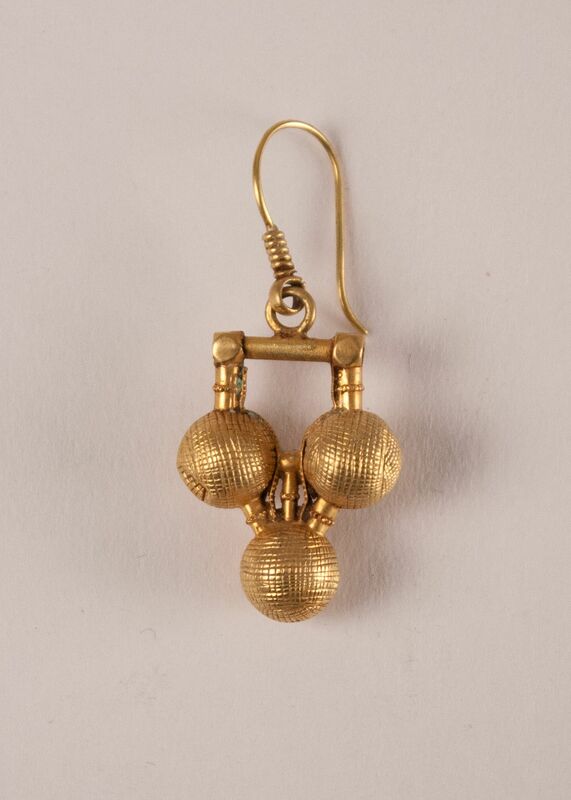 At 3.2 grams each, the set is lightweight and easy-to-wear. 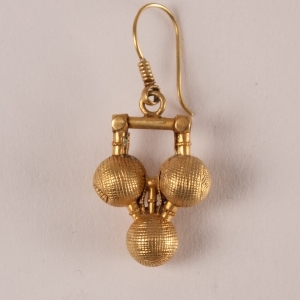 Some subtle surface wear attests to the age and authenticity of these tribal earrings.